A women beach dress has V shape neckline with Indian hand embroidery on it that will give a luxurious feel to wearer. 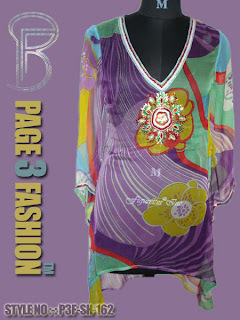 This purple beach dress has abstract and floral print with normal style for any ideal beach and resort. •	Fabulous print and hand embroidery. •	It is perfect beach dress for any beach and resort.